Choice Hotels set a new bar in modern business travel accommodations with Cambria Suites. 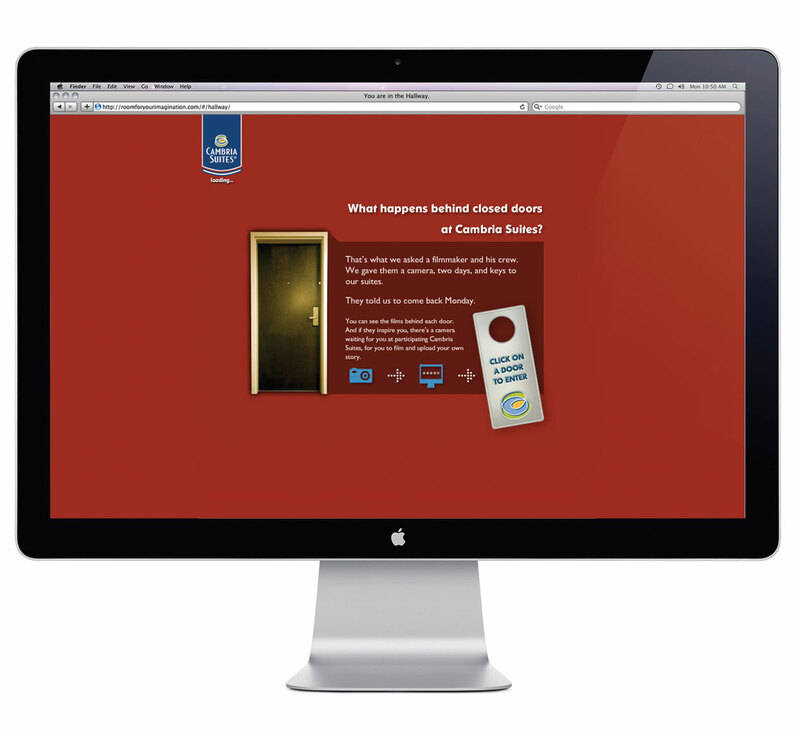 Being a technology-centric brand, Choice Hotels wanted an online experience with viral potential. 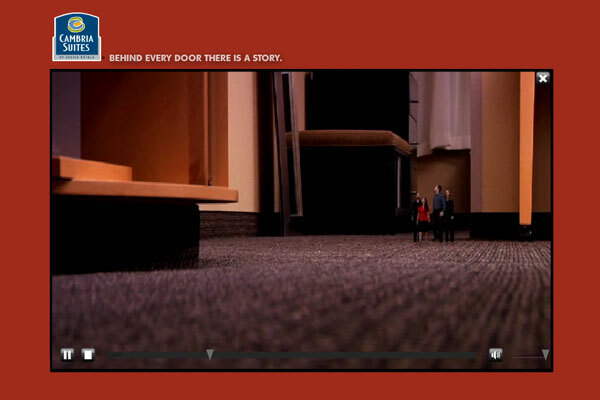 Go Media delivered an edgy Flash site where hotel guests could upload mini films shot in Cambria's Suites where there was plenty of "room for your imagination"! Site visitors explore a virtual hallway with voyeuristic privileges. See what goes on behind closed doors. Here, it’s some pretty funny stuff! Get a kick out of a guest’s clip? You can rate the video or share it with friends. Our web designers developed a comments thread as well, but people were saying the darndest things.